It's time to Rock and Roll at the Expo! I made it to Nashville! Major drama along the way but I made it!!! My Mom and my sister are finally on their way too, so fun times are about to happen. Yeah! 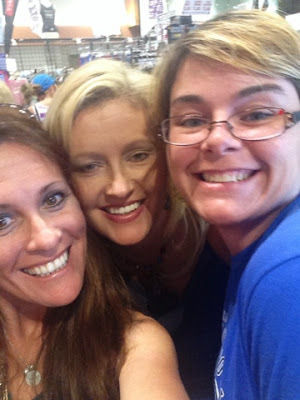 I met up with my Mom first and we headed into the city...Country Music Marathon Expo here we come!! 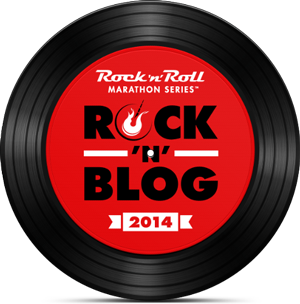 Since this is my first experience with Rock n' Roll Series Events, I wanted to see it all! I hear nothing but great things about Rock n' Roll Series events so I was ready to check it out. 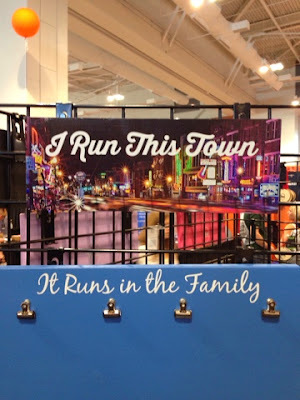 I've been running for several years now and I try not to go overboard in buying impulse running gadgets that are most likely going to take up room on my closet floor. My plan of attack was to get my packet and bib, look around for a cool commemorative t-shirt and then hit the rest of the vendors in order. If I wanted to buy something, I was going to think on it for just a few minutes and then maybe come back to it if I couldn't live without it. The Expo was very organized...Packet pickup as soon as you enter, keep walking through to receive your shirt, keep going for gear back, goodies to fill your bags and keep walking through for the vendors. I liked this system. It felt like we were all moving in the same direction and not back tracking. So far, So good. I spotted Shane Tallant from HGTV's Designed to Sell and MusicCity411. Had to laugh when he introduced himself as "Shane" to me. There were several people in line to get their packets but the lines moved pretty quickly. Love that my bib has the official Hashtag on it! 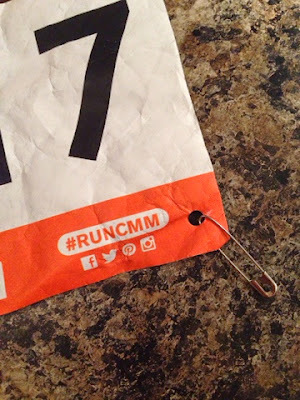 Follow #RUNCMM on Facebook, Twitter, Pinterest and Instagram for all of the latest pics and updates from the race weekend. 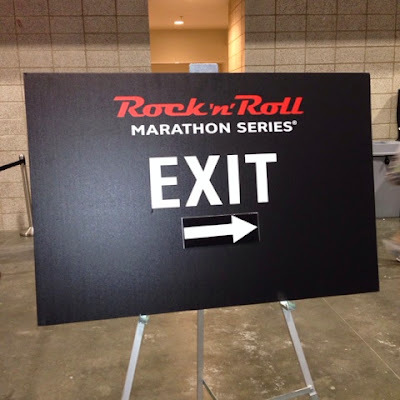 One of the things that I was worried about was not having enough time at the Expo. I arrived on Friday after work and the Expo closed at 7pm so I had a couple of quality hours. 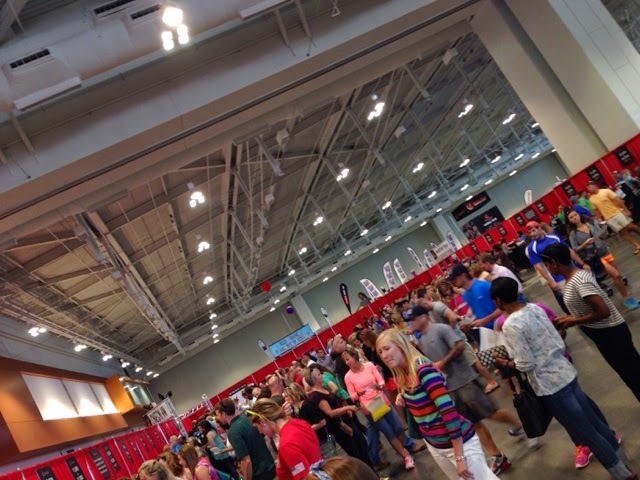 The packet/shirt/gear pickup took all of about 10 minutes and from then on I shopped around at the vendor booths. There were tons of people there at this time and it seemed really crowded but it wasn't that bad. Even with the large crowds, the space was so large that I never felt cramped at all. 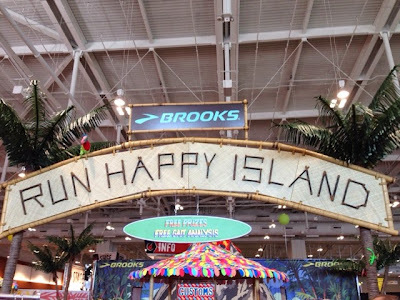 After we left the packet pick up area, we headed over to the Brooks Run Happy Island. Brooks was a major sponsor of the Country Music Marathon and I thought that this area was fabulous! There were lots of activities, games and shopping of course. I didn't buy a shirt (they were out of my size in the one that I wanted. Boo hooooo.) 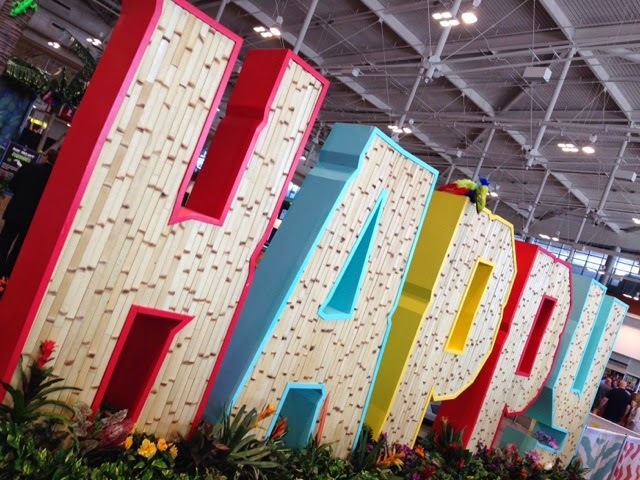 Loved the decor and the overall "happiness" of this area. Left Entrance Wall to Run Happy Island. Right Entrance Wall to Run Happy Island. 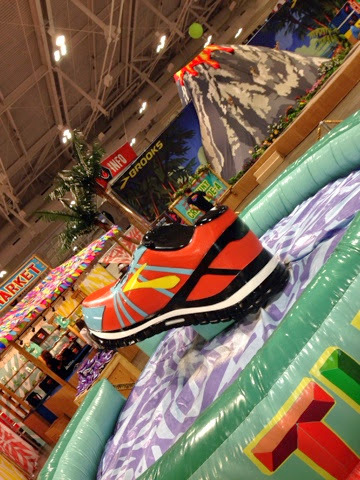 A giant Brooks shoe to ride and win prizes! How cool is that?! 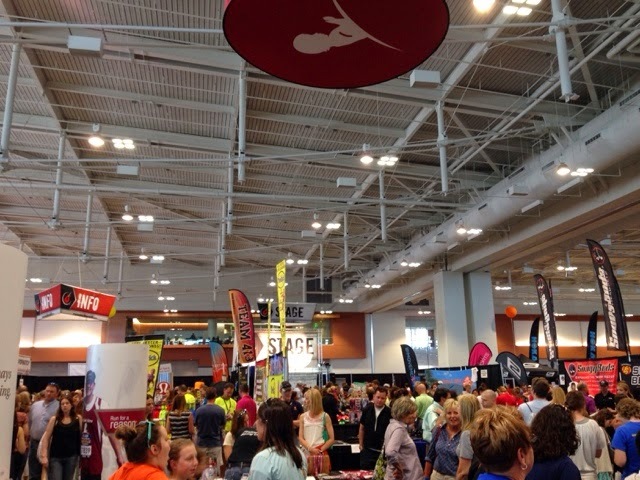 Helpful volunteers on hand to help runners with their gait and purchasing new shoes. How cute is this shirt?? Really soft too! Spotted one of my favorite booths...Apera Bags. I own the Yoga tote and use it religiously. In fact, this was the bag I brought with all of my running essentials for the weekend. Seriously, I love this bag. runDisney booth offering an Expo Registration Special! 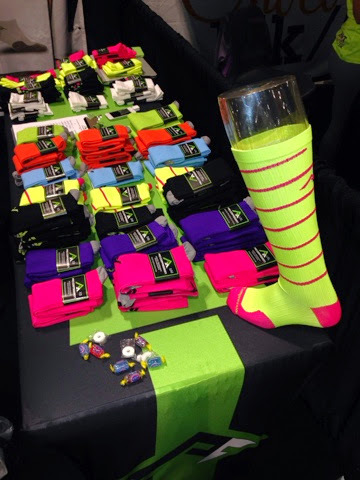 One of the booths that caught my eye was the ProCompression Socks booth. I've had my eye on these for a while and I love the bright colors! After running the hills of Nashville, It's safe to say that I will be making a purchase the next time I decide to run a race in Nashville! Strolling along shopping and I ran into Rebekah and Misty...I've know these girls for what seems to be my whole life! Running with friends is always the best! 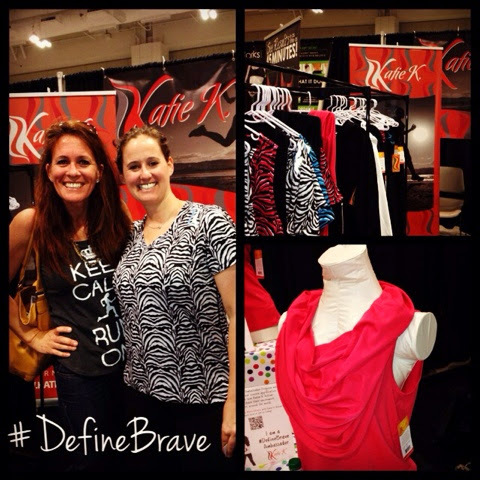 Met Katie K at the Expo...she's got a new line of fitness clothing for all types of women. Sizes run from small to 3XL. There's lots of smart features on her clothing too. She invented these clothes from a runner's point of view! We chatted for a while with friends and vendors, met up with my other friend Missy and before I knew it, it was time to go! I've never been at a Health and Fitness Expo at closing time and I hear that they don't play around but they really mean it. 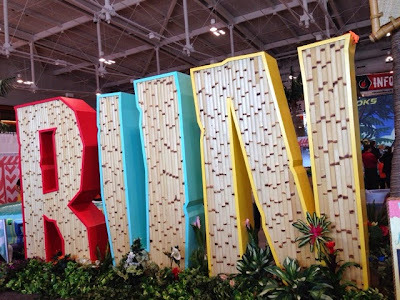 The expo closes at 7pm. Now get out!!!!! If I could change one thing, I would change that closing time. I know it probably works great for everyone working at the expo, but it really didn't give those of us coming after work a whole lot of time. Could we make it 8 or 9:00 pretty please??? It's time to go. And when I say time to go, I mean it. They Mean BUSINESS. 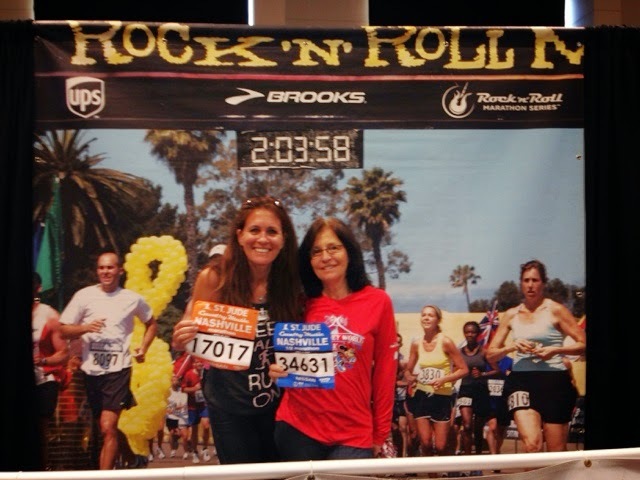 Grandmary and I have our numbers...Yippeeeee!! Ready to run with my pal Missy!! 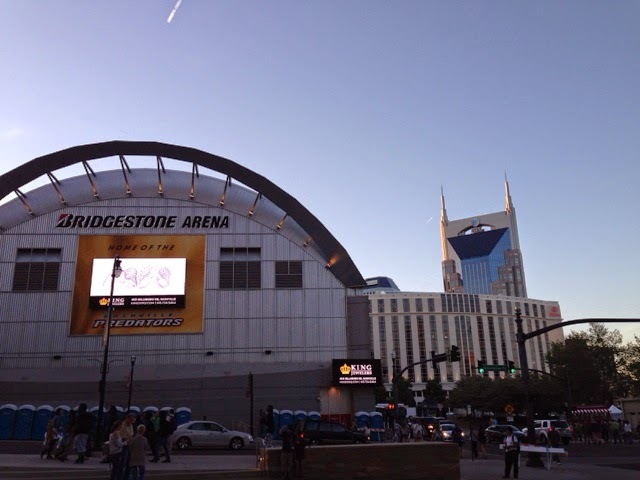 Leaving the expo at 7pm and it was still gorgeous outside in Nashville, Tennessee! 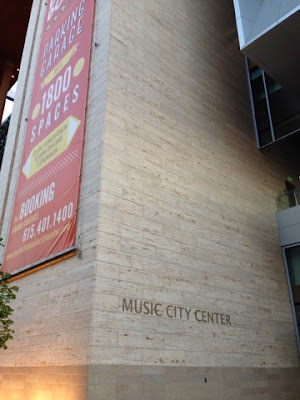 The weather was perfect and I really enjoyed seeing the new Nashville Music City Center for the first time. It was absolutely BEAUTIFUL. 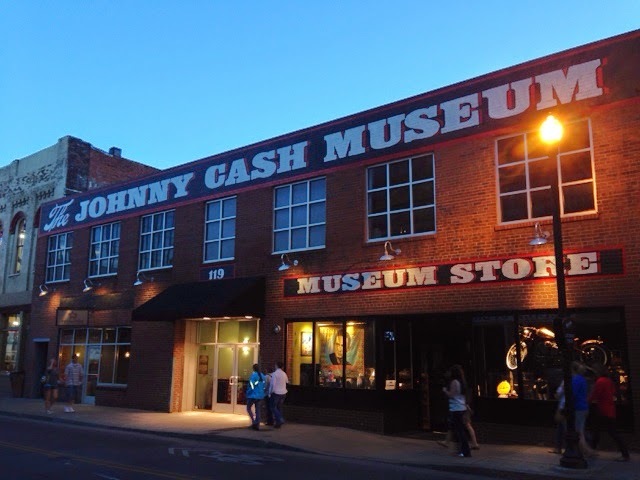 Such a great addition to the city of Nashville! I love the way that they have built up the area surrounding the building as well. Lots of new restaurants, shops, parking etc. WTG Nashville! 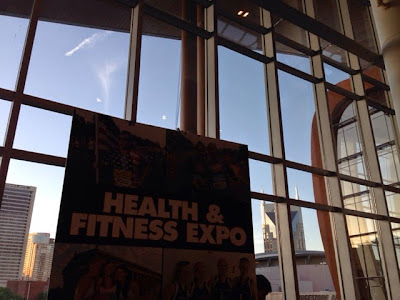 The view as we left the Health and Fitness Expo...I spy the "Batman Building"! The new Music City Center is located Right across the street from Bridgestone Arena. We walked about a block and came across The Johnny Cash Museum. I heart Nashville for things like this. So Big-time yet so Quaint. I needed some new headgear to wear in the Marathon...I found just what I was looking for! Okay. Enough playing around. I had to get my grub on! I'm not kidding...I had not really eaten a lunch today and I knew that it was going to catch up with me. I was starving. We went by a couple of local places but the wait was ridiculously long so we settled for Joe's Crab Shack just off of Broadway. 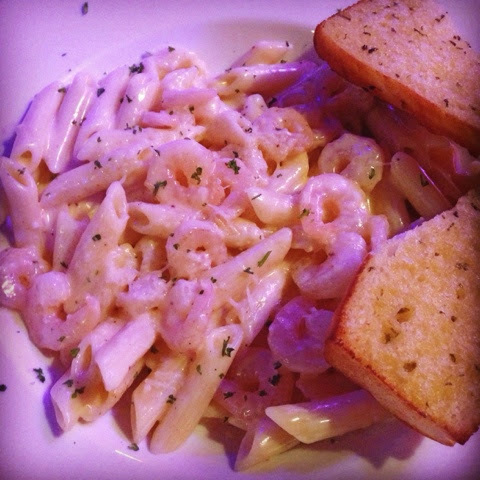 I have had the Shrimp Pasta Alfredo before and I knew that would be a great pre-race meal so we were seated quickly and began the feast! 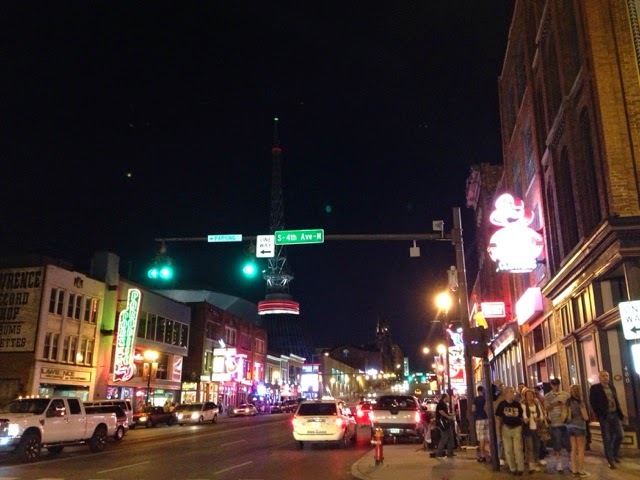 The Neon Lights of Nashville! 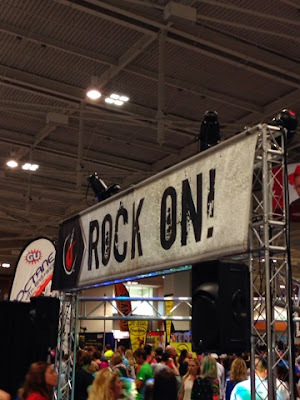 Overall, I was thoroughly impressed with the Rock n' Roll Series Health and Fitness Expo and cannot wait to run another event. There were tons of vendors and lots of varieties of products. Still wish I would have gotten the shirt that I wanted but I'll get over it. 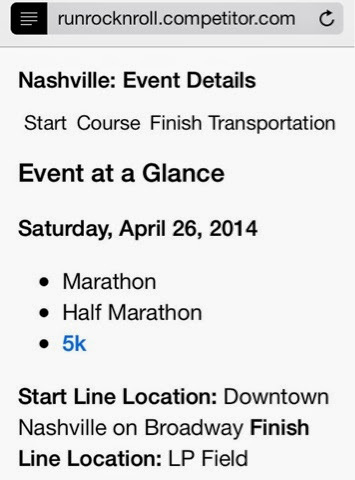 (Just means that I'll have to run Nashville again ;) I have no doubt that I will love the actual race. Nashville is one of my favorite cities so I can't wait to experience it on foot! I have had the pleasure of meeting Sean Astin a few times at runDisney events and he's just such a great guy so I was completely honored when I was asked to work with him regarding his new Vox Populi Radio show. I'm not too much of a political-type person but I am interested in hearing his points of view regarding politics in America today. As a sweet Thank you, I was given a gift by Sean in appreciation for support of his radio show. 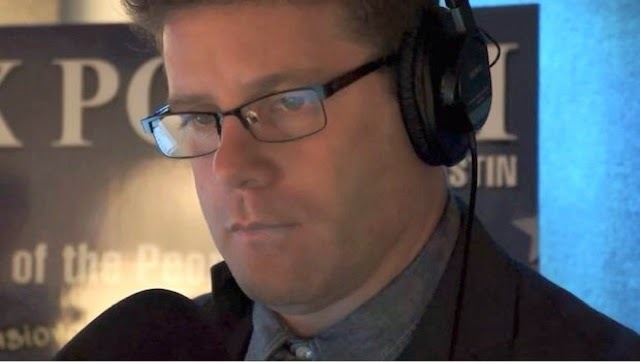 "Sean Astin - actor from Goonies, Lord of the Rings, Rudy - is beginning Season 2 of his political radio show for "the occasionally interested people" on a new network, TradioV. His interest in politics and representing the people's voice is infectious, and he genuinely wants people to understand what is happening with the government, even when it seems too complicated. Whether you are or aren't interested in politics, he offers an intellectual discussion and doesn't just want to be heard, he wants to hear the people and their concerns, all while keeping it civil." I hope that you will all join in and listen to his new radio show. I know I will! There is so much that I need to learn when it comes to politics that I'm really proud of Sean for taking a stance, being active and speaking out about politics in today's society. Sean would like to give you prizes too! Please join me on the #RaiseYourVox Twitter Party this Saturday night, April 26th, at 5:30pmPT/8:30pm ET. 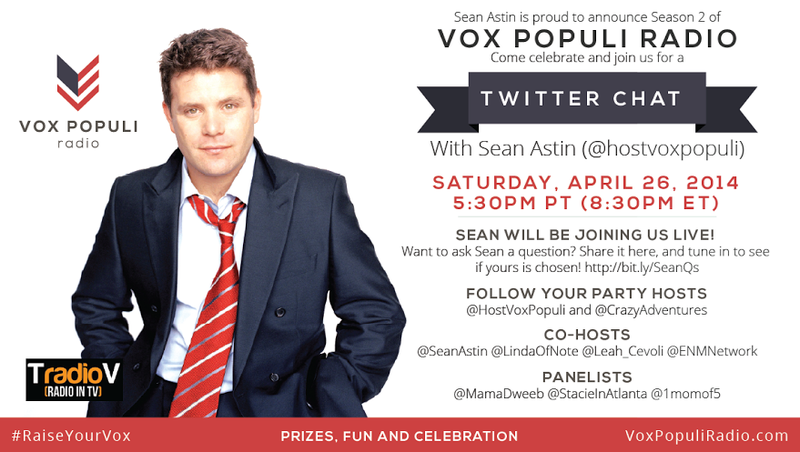 For more information about Sean Astin and his new radio show, please visit www.voxpopuliradio.com and tune in on Thursdays from 12-2PT to www.tradiov.com to hear his show live! You can also find Sean Astin on Twitter, Facebook, and YouTube. Be sure to follow the Hashtag #RaiseYourVox. Hope to see you all on the #RaiseYourVox Twitter Chat! Ready To Run Country Music Marathon! 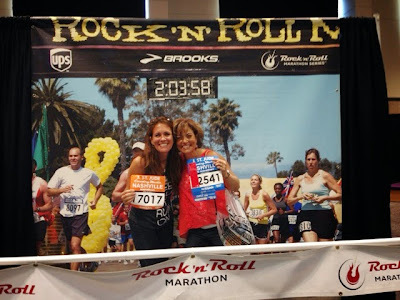 The last time I ran in Nashville...with Jo Dee Messina! 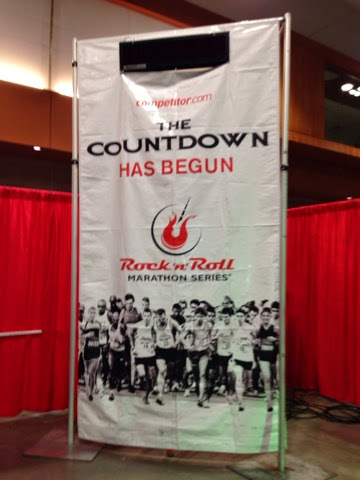 Tommorrow I will be running my 6th Full Marathon in Nashville Tennessee!! Yeeeeeehawwwww!!!!! That's SO hard for me to comprehend. 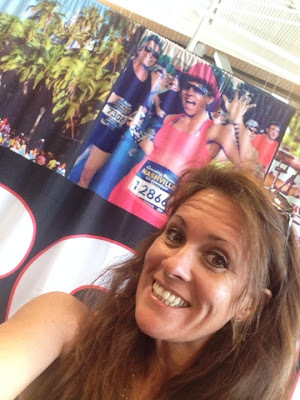 I thought when I trained for my first (Goofy Challenge 2011) that it would be a one and done. REALLY. Who was I kidding??? I'm no Olympian. Lol. In my mind, those were the types of people that run marathons, not me, the person who goes out to the local running track and run for fun. Who knew??? 26.2 is definitely not my favorite distance to run but there is no greater feeling of accomplishment than running a full marathon. Now don't get me wrong, ANY distance is a huge deal but Full Marathon is a whole different ballgame! It will push you right over that mental bridge. And I'm not kidding. I've ran some where I felt great and some where I literally crossed the finish line in tears (and not happy tears). Regardless, I'm ready to tackle another one. EEEEEKKKK! I'll be in Nashville tonight at the expo checking out all of the vendors, booths and fun stuff. This will be my first Rock n' Roll series event so I'm really excited to see what all the hype is about!! I love Nashville and go there quite often for different music events (I'm a Country Music Junkie) and have only one ran 5k there a few years ago! Can't wait to post lots of pics and get my HonkyTonk Run on! Hope to see lots of friends this weekend and make lots of new ones too!! 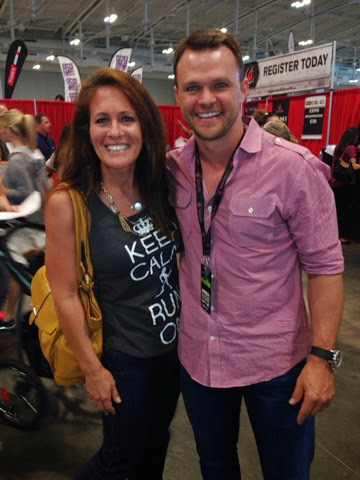 Happy Running and see ya in Nashville! Yesterday morning was maniac-town at my house. The kids all woke up IN. A. MOOD. I couldn't get anyone moving....LOVE these mornings. ugh. I couldn't rush them. I didn't have it in me. I am not a morning person. So what did I do? I sat down at my computer, got in a solid hour of returning emails, getting ready for my day and then I checked my kids in late to school. Yup. That's right. I am THAT MOM. lol. The kids all calmed down and we actually ended up having a great morning. They all ate breakfast and they all went to school with brushed teeth. Major score! You know the old saying..."Everything happens for a reason?" I totally believe in that and I don't think people are placed in your life randomly. There's a reason for every person, every event, every circumstance. As I was checking my kids into school, another Mom was coming out of the school. I havent' seen her in forever. Life is busy. Our kids are not playing the same sports right now. We have drifted...Man, I hate that too. Talking to her for 5 minutes was really enough. We both have a very wacky sense of humor. Good times, laughing, joking and then BAM. The news. What? Divorce? WHERE THE HECK HAVE I BEEN?? How would I have known that? I wouldn't. They haven't told anyone. Double BAM. We exchanged quick "I'm sorrys". Sorry for not getting together more often. Sorry for not knowing what's going on. Sorry for being just too busy. Sorry for being a crappy friend. Sorry. I just couldn't quit thinking about it all day. I mean, It was yesterday and I'm still thinking about it. For the Love...I felt so bad for not being a great friend. That's when it hit me. I love my friends and that just stinks. I don't want to end up like that with any of my relationships. 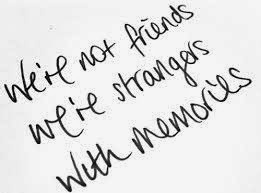 I promise to be the best friend that I can be to all of my friends. So simple but so very important! 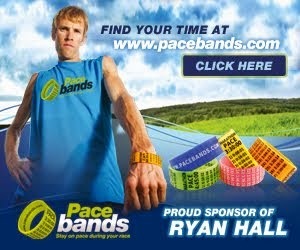 One thing I love are companies that are really supportive of races, charities and their customers! If you are curious about trying ENERGYbits, I highly recommend trying them on your next long run. I was a little skeptic the first time I tried these little algae energy supplements but I gotta tell you, they really are amazing. I felt like they gave me just the right boost I needed! 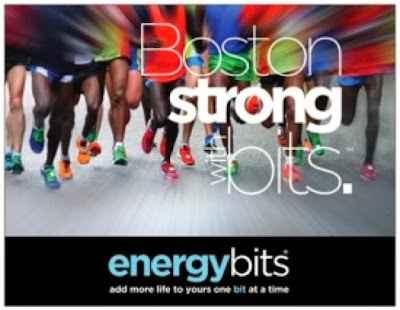 As a special tribute to the Boston Marathon, I'm giving away a special ENERGYbits Swag Pack and also offering a 20% Discount to my readers off using the code MARATHON. This code is good for the next 30 days. "Made from 100% organicallly grown, NON GMO spirulina algae and loaded with 40 nutrients, ENERGYbits® algae tabs have the highest concentration of protein in the world (64%) all for just one calorie per tab. 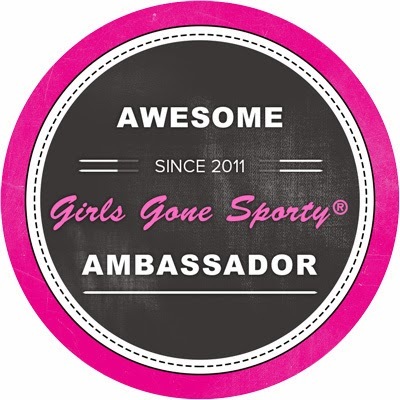 Spirulina has been endorsed by the United Nations and Olympic gold medalists for decades. Now it's your turn. ENERGYbits® algae tabs are your answer for raw energy and health. All naturally too. With just one calorie per tab, ENERGYbits® will stop your cravings, slay your hunger and give you a steady stream of mental and physical energy all day or night. They may even make you want to leap over tall buildings in a single bound, but we think that’s best left to the guys in the red capes and blue tights. Remarkably, ENERGYbits® have just one ingredient, spirulina algae which is a super hero in the world of super foods. Spirulina’s nutritional pedigree is so impressive that The World Bank, NASA and Olympic athletes have all declared spirulina to be the most nutritious food in the entire world. Why? Well for starters, it effortlessly and naturally boosts your energy like an energy drink, energy bar or coffee but without the downside of chemicals, caffeine, calories, gluten or sugar. Gram per gram, there is no denser source of nutrition than spirulina algae. Research done by NASA showed that that 1 kg of spirulina had the nutritional equivalent of 1000 kg of fruits and vegetables. That's a lot of groceries! But if an endorsement by NASA isn’t enough to convince you of the health benefits you’ll get from ENERGYbits® spirulina, consider that many International Health Organizations including the United Nations have hailed spirulina as one of the “Greatest Superfoods on Earth.” Don’t worry if you haven’t heard about this super food yet. You will. It may be virtually unknown in America but for the last 50 years, millions worldwide have taken it to improve their energy. Now it’s your turn." Leave a comment in the comment section below and tell me if you have ever wanted to try ENERGYbits! Contest ends Sunday May 4th! For more information on these great products and more visit ENERGYbits.com. It's that easy! 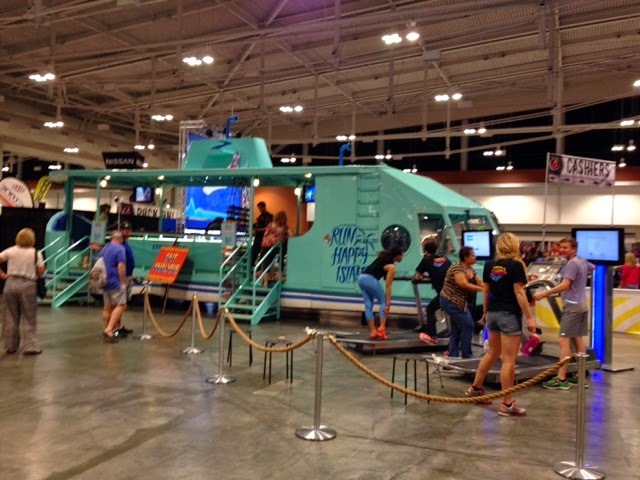 Happy Running and hope to see you #PoweredByBits! It's almost that time!!! 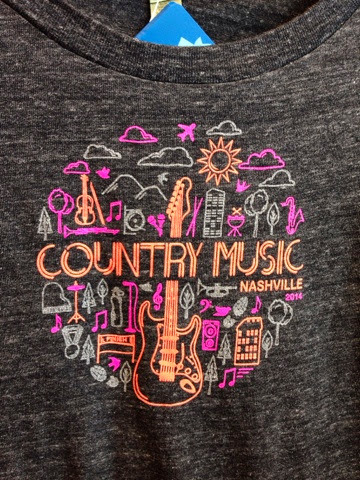 Country Music Marathon in less than two weeks!!! Do you even KNOW how excited that I am to start this race on Broadway?!?! I love this addition and am really glad that I get to experience the first year of them moving the start line! Nashville is one of my favorite cities on the planet and I can't wait to get there! 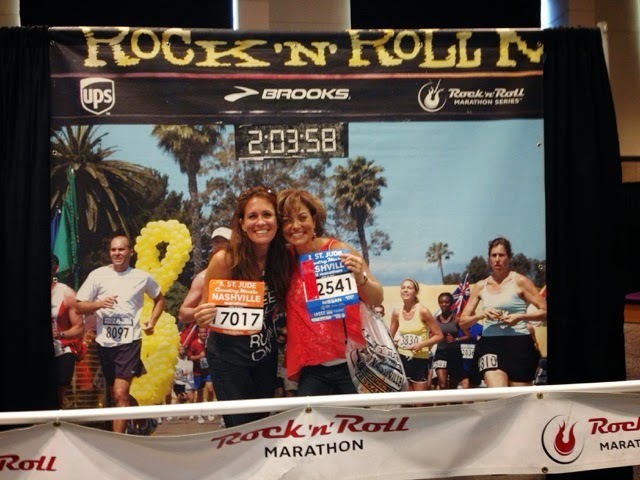 I'm running this race with friends from home, my Mom, sister and my pal Carrie! 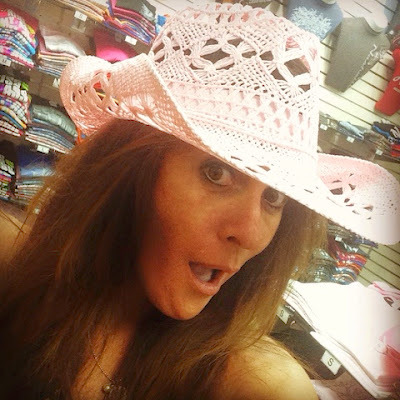 Fun Honkytonkin' times ahead! It seems that no matter where I go or what I do, most people "know" me as "that Mom who runs the Disney races". Cool by me. I wouldn't have it any other way. In fact, I LOVE that part of my life. But in reality, that's just a very tiny portion of my life. It's no secret that my entire family loves Disney, we always have. You can find hints of Disney in every nook and cranny in my home. Picture frames, magnets on the fridge, vacation scrapbooks everywhere and help us all, the coffee mugs!!! I couldn't imagine ever NOT running runDisney races now. Yeah. It's what I do. WHY am I writing all of this??? I recently had a conversation with someone who asked me about Dopey Challenge. They asked me was that all that I did?? Did I even HAVE a life?? Did I like it? Would I ever do it again? Apparently, people just cannot grasp the concept. "Woah. 48.6 miles. Amazing. Unbelieveable. Inspiring!!" Those are the words that I heard them say. However, in my mind..As I was running, I'm thinking. "Day one. Mile one. 5K Done. That was easy. Day two. Twice as much as yesterday. Two more days to run. 10K, Oh yeah. I got this. Day three. Main Street! The Castle! This is Hard. I love this. Tomorrow is going to FREAK me out. Caution Runners Speed Bumps Ahead. Hey look, It's Mickey again. Let's stop for another pic. Half Marathon...WoooHoooo! Let's eat! Day four. This is the last morning. Hallelujah! Main Street! The Castle! Mickey AND Minnie together...gotta get that pic! All four parks! I need gels. I need Powerade. Awww it's The Festival of the Lion King crew. GET ME TO EPCOT. I love this. Wipe the tears. OH MY GOSH I LOVE THIS. I SEE THE FINISH LINE. YESSSSSSSSS. 48.6 Miles..HOLY MOLY!!!! I DID IT!!!!!!! Brief recap of what was really going on in my mind. And really, I was saying most of this out loud to my running pal! Or at least I think I did. Maybe now I've got some of that love for crazy people coming out of me. Minnie and Mickey waiting for us at the Castle..Gotta stop! Dopey Challenge was a process. It wasn't just 48.6 miles. It wasn't inspiring or amazing. It was training. Hard work. Running when I didn't want to. Staying away from the french fries. Not eating the sweets. Wiping out the negativity. SO many people telling me that they weren't sure that I had it in me. I registered for it. I trained for it. I wanted it. I earned it. Mile by Mile. Step by step. Four early mornings. Running with friends. Having the time of my life. I would totally do it again. Not just "Wow, you just ran 48.6 miles." I would be willing to bet that you could ask any of the people that ran that race their thoughts and we would all have differences of opinions. I'm not analytical so I don't get wrapped up in alot of details that others do. I can handle any kind of weather. I'm not a complainer by nature. Some liked the course. Some were sick of the course by the end of it. Some thought it was too crowded. Some thought we needed more entertainment. Some thought it was perfect. Some can't wait to register again. Some would NEVER do it again. I live for experiences. I don't want to ruin the surprise of what's coming up so I don't look at course maps ahead of time. Again, I like to "run in the moment." But I would be willing to bet that they would ALL tell you that it was a proud proud moment of accomplishment when they crossed that finish line on the fourth day that no one could quite put into words. If they don't tell you that, then there is something wrong with those people!! Be proud, folks! So there you have it. I did have a life. I did love it. I am going to do it again. In fact, I am one of those people that have it on my calendar to get registered immediately when registration opens. I don't wanna miss out! This picture....Totally worth all of the hard training miles! Now here's the part of running Dopey Challenge that NO ONE prepared me for....I ATE LIKE A HORSE for at least a week once I got home! It wasn't very Princess-like. Next year, I will be better prepared for that. I will be stocked up on steak in the freezer for when I return! I spent more money at the expo than I ever needed to. I'll start stashing now for that too. Four races, four different options of "well...I gotta have that too." I felt like I was cheating on Mickey with Donald and cheating on Goofy if I bought the Minnie and not the Dopey. Shirts, Vinylmations, Coffee Mugs, Alex and Ani Bracelets. You get the idea. I need a Disney Sugar Daddy! LOL. joking...just joking!! Let's just say that I'm the proud owner of about 12 new shirts from that weekend and don't even get me started on the New Balance shoes. ohhhhh myyyyyyy!! Either way, the whole experience from start to finish was a ton of fun and I wouldn't trade it for anything! I hope to see you all in 2015. It's the 10th Anniversary for Goofy's Race and a Half Challenge and the new medal looks GREAT! 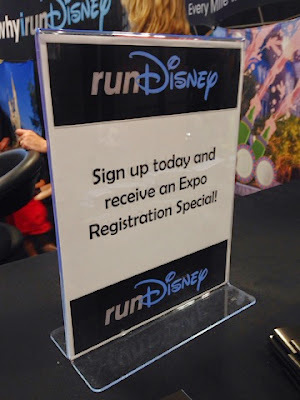 Get registered over at runDisney.com. Registration opens at noon on April 22nd. Training starts June 1st for me! BirdsEye and Disney Step Up To The Plate! **UPDATE: This Contest has Ended! Recipe at the bottom of this post. We are a busy busy family and trying to get home from work, shuffle kids around and cook a healthy dinner is something that I struggle with on a daily basis. However, I try to make it work. I really do. Sometimes I'm really good at it and sometimes I just flat out fail. #EpicMomFail. I need help! When I saw the press release that Birds Eye Vegetables and Disney were teaming up to promote healthy foods directly to children...I was very intrigued by this campaign. What a perfect solution to some of my "Mom Fail" issues! I knew that this was something that I wanted to be a part of. My kids like to eat vegetables and I am really excited to see the different ways to incorporate veggies into their daily diets. 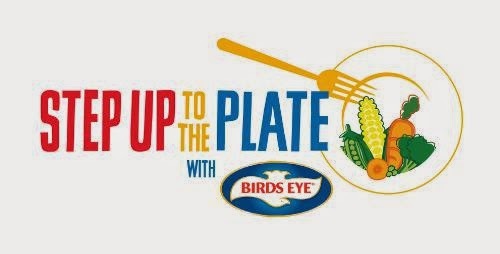 Instroducing the new "Step Up To The Plate" collaboration between Birds Eye and Disney! "The collaboration between Disney and Birds Eye will be brought to life this summer through Disney's top-ranked kid and tween targeted media platforms, helping to give veggies an image makeover in the eyes of children. The Birds Eye Step Up To The Plate program aligns with Disney's Magic of Healthy Living initiative and integrates Birds Eye into program sponsorships and "Disney's Magic of Healthy Living TRYathlon Road Tour" scheduled for August and September 2014. It will also engage Disney Channel and Disney XD stars for a cross-platform sweepstakes. Together, Birds Eye and Disney will show kids that veggies can be both fun and delicious by encouraging them to explore new healthy foods. Families are encouraged to join the movement by following Birds Eye on Twitter @BirdsEye where they can stay tuned in for news about the Disney stars who will be participating, exciting prizes and more. Parents can use #ILikeVeggies to share their ideas for getting kids to enjoy veggies." Now for the Giveaway details! This one is super easy, I promise. But Hurry! This giveaway ends Sunday April 20th. Also, The Chicken Casserole pictured in the above picture is one my family's favorite and really easy to prepare ahead of time. 4 Chicken Breasts (Baked and Chopped)--I bake chicken, cube and freeze to cook weekday meals ahead of time. 2 cups of cheddar cheese- 1 cup for the casserole and 1 cup to be sprinkled on the top. 1 can of cream of mushroom soup. Mix Chicken, Cream of Mushroom Soup, Cheddar Cheese, Rice and Salt and Pepper in bowl really well, add in broccoli last. Spread in 9x13 pan. Top with remaining Cheddar Cheese and Ritz Crackers. Drizzle with butter. Bake at 350 degrees for 30 min or until bubbly. Low-fat options are available for Cheddar cheese and cream of mushroom soup. For more information on these recipes and other news regarding the Step Up To The Plate Information please visit BirdsEye.com. 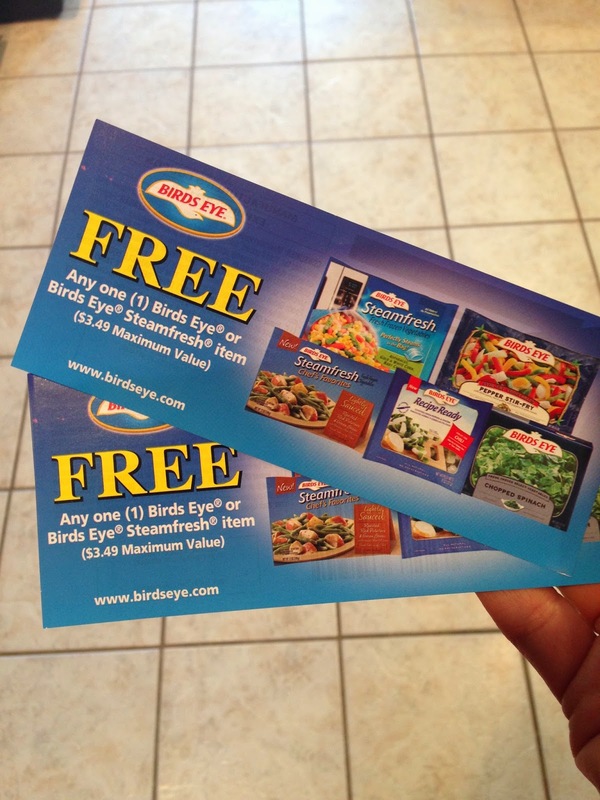 Disclaimer: I was given the opportunity to host this giveaway and review product from Birds Eye Vegetables. All opinions are my own. Running. No One Said It Was Glamorous. I was making a cup of coffee this morning just as I do every morning when this pic caught my eye. I have kept this on the fridge since January of 2010 and it's not coming off anytime soon! This pic was taken after the 2010 Walt Disney World Half Marathon and it's really just an awful picture. Really. I've taken much cuter pics than this and this is just not that cute. No cute outfit. No pigtails. No cute Florida suntan. I wore all of the running clothes that I packed that weekend and I'm not kidding. Geez Laweez. Why would I post this proudly??? I keep it visible for several reasons. 1. Running is HARD work. Some days I just need to be reminded of this. 3. 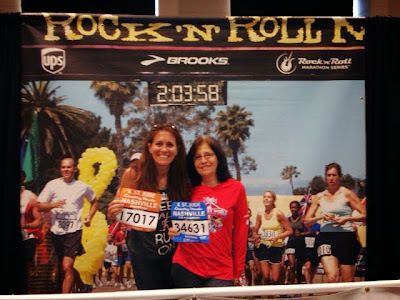 At the time of this race, I could barely wrap my brain around running 13.1 miles, I couldn't ever imagine anything more. Four years later, I feel slack during marathon weekend *only* running 13.1. That's a good feeling. I've come a long way, baby! 4. I loved running Disney in the bad times and I will love running Disney in the good times. I'm loyal. 5. I liked to wear my houndstooth visor then and I still like to wear it now. Roll Tide! 6. Running with family and friends is the way to go. Nothing better. 7. I am thankful for HOT coffee. I don't like being cold. 8. I love my Donald Duck medals..Marathon weekend is one of my faves. 9. The hardest races and challenges mean the most. I'm proud to earn my bling! 10. When I'm having a bad day, just one look at this pic makes me smile. This was the worst of my runDisney days, yet probably one of my BEST. Be proud of your accomplishments! So that's it. 10 odd facts about why I have this ridiculous picture on my fridge. 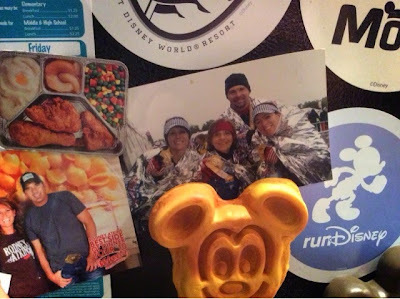 **And yes, that really is me and Rodney Atkins standing in front of a plate of Mac n' cheese and green beans pinned up by a frozen dinner magnet and placed next to a Mickey Waffle. I just like the randomness of that. (My house is full of crazy).